Jewelry is something we women love dearly. I am personally attached to every piece of jewelry I own, wearing them with care and storing them perfectly when not in use. Just like your makeup, jewelry demands care and good storage too. If not stored in the right way, jewelry tends to blacken, rust and lose its colour and charm. Some pieces can even develop a nasty allergic reaction with time hence it’s very important that jewelry be stored in the right way to ensure longer life and also help you get access to whatever you want to wear easily! There are many unique, fun and creative ways in which you can organise and store your jewelry, most of which you can easily DIY at home. 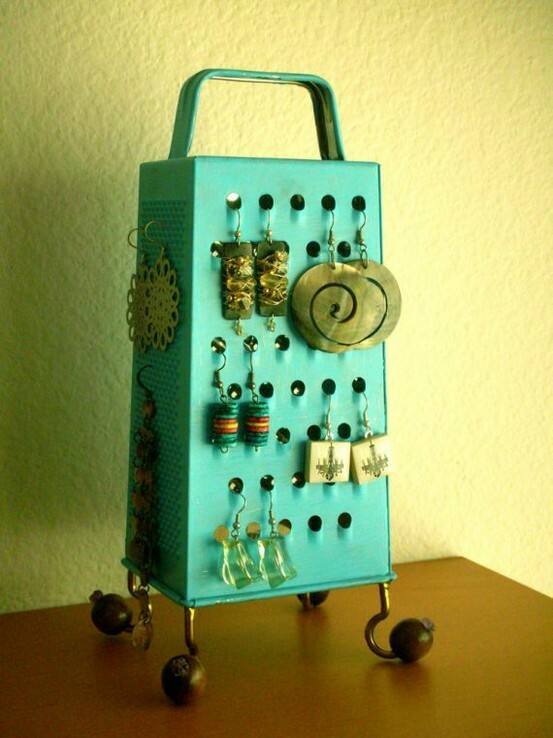 All you have to do is paint your old grater into any color you like voila! 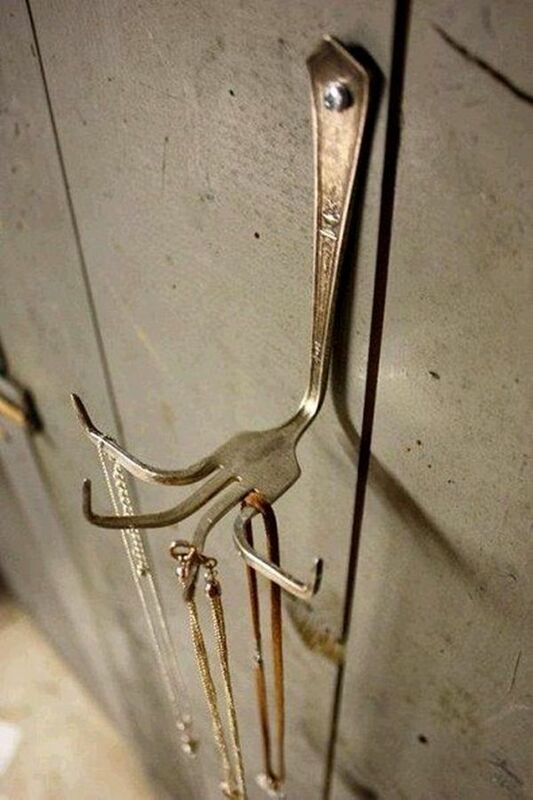 You have a super cool hanger for your earrings! You can use curtain rings on towel rods to hang your necklaces, bracelets and your bangles – it’s a super easy and super organised way to store your jewelry. You can easily choose what you want to wear and this way the chances of you misplacing your jewelry are less too! Storing your rings couldn’t get more fun! 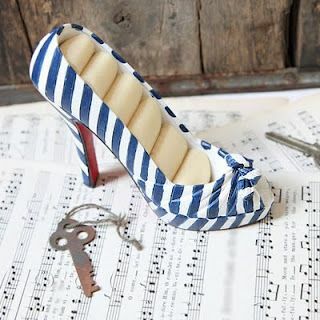 Get your creative self working and repurpose a stiletto you no longer wear. All you will need for this DIY is a shoe, some sponge and a glue gun! 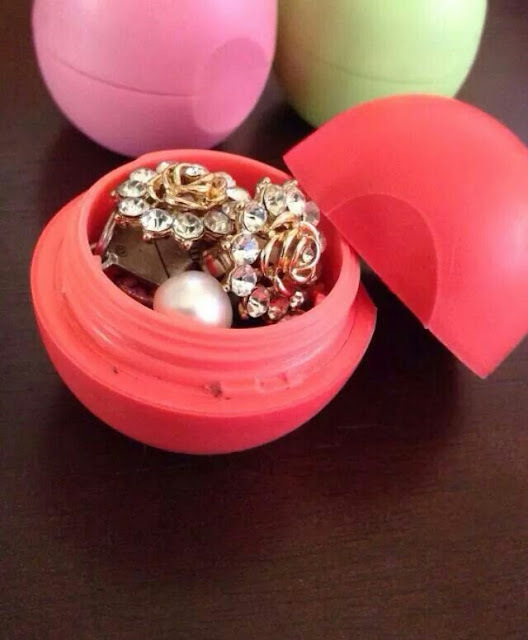 There’s more to your EOS lip balms then just good looks – you can use them to organize your earring studs and tiny jewelry pieces! The same way you can use your empty containers of body lotions and moisturizer buckets to keep your jewelry organized. Have a chain lying around which is of no use to you? 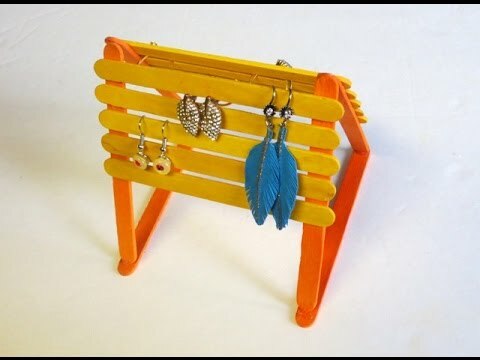 Make sure you don’t throw it away as you can DIY and turn it into your cool earring holder! If you don’t want to make holes in your walls for the hooks then you can easily use readymade double tape hooks to hold your chain link in place. Make sure you coat the chain with a layer of transparent nail polish before you use it, this will avoid any metal to metal reactions and ensure a longer life for your jewelry! 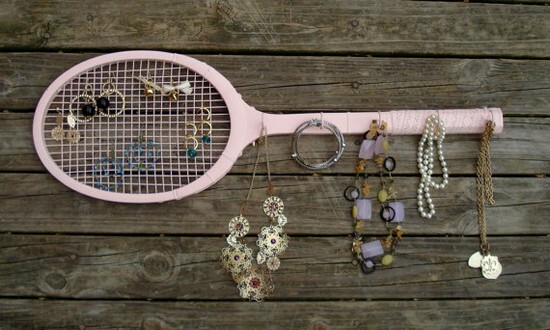 It’s time to make use of your old badminton racket! You can cut off the handle of the racket before fixing it on your wall or just leave it as it is for an interesting DIY decor effect. 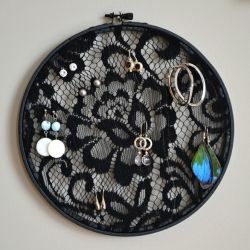 You can hang your danglers/chains etc in here. 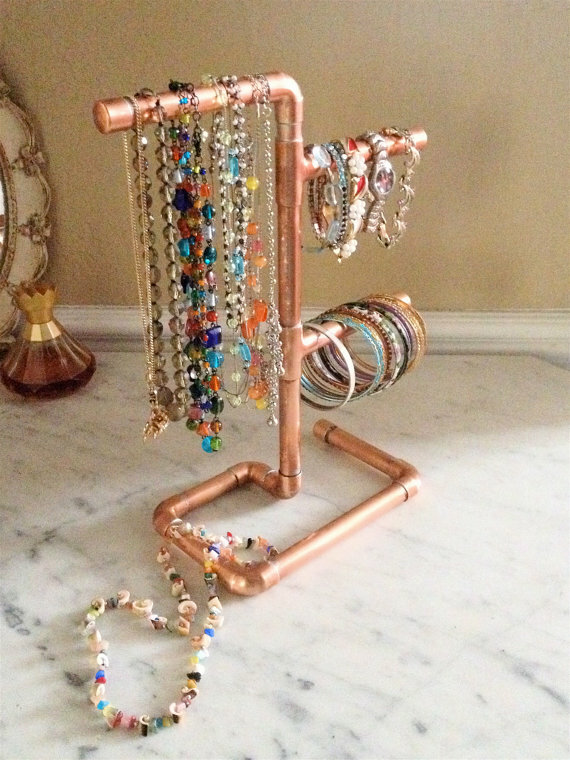 Jewelry organizers were never so inexpensive! Take some Brassonet with cute floral designs and DIY it on a frame or a embroidery hoop. 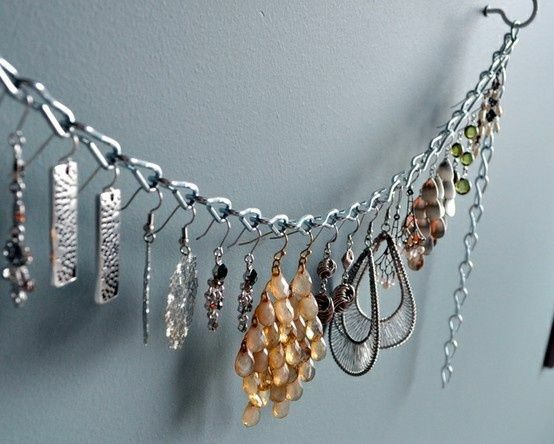 It’s super simple, affordable and an awesome way to organize your danglers. Jewelry tends to loose its color and shine when exposed to air for a long time, so air tight containers are what you need for such delicate pieces! 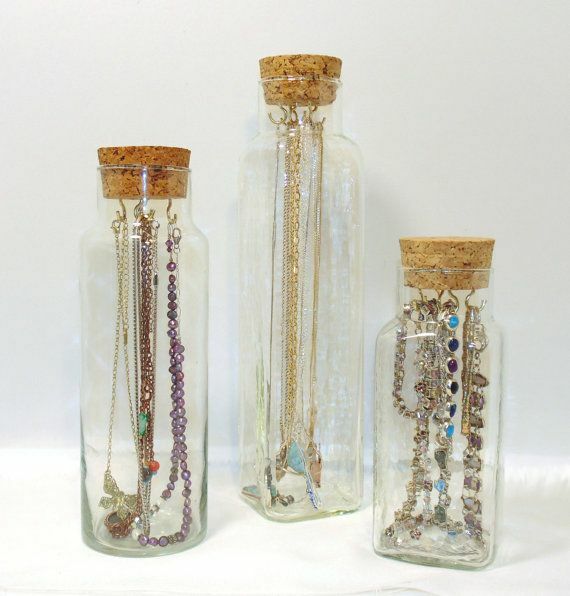 Insert small hooks on the inner side of the cork and hang your jewelry in these air tight containers for sparkling and brand-new-looking jewelry. 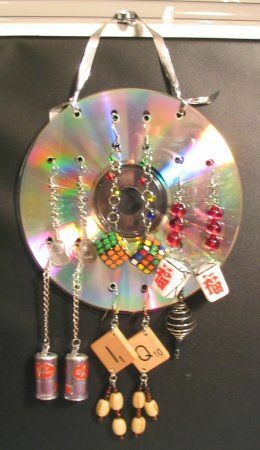 It’s inexpensive, it’s super creative and perfectly effective – Punch holes on an old DVD, use ribbon to make a hanger and you are done! 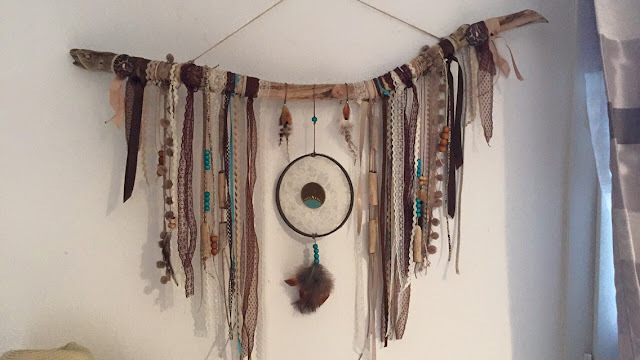 This works as both a stunning room decor idea and also and nice place to store and organize your jewelry. 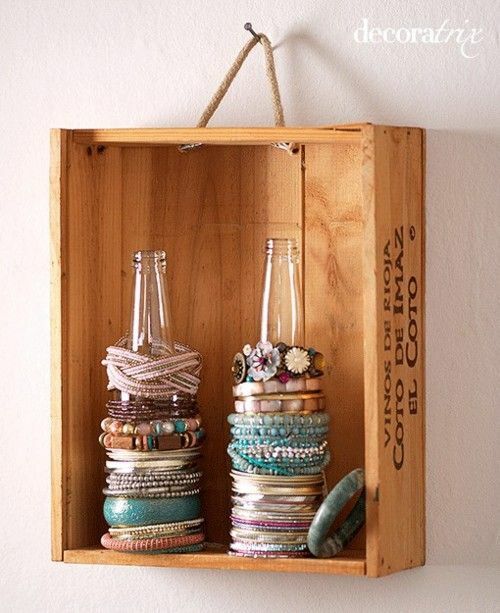 Using a glue gun glue together some crockery on top of each other to make your very own DIY Jewelry keeper. It’s so pretty and unique that it will surely catch people’s attention! 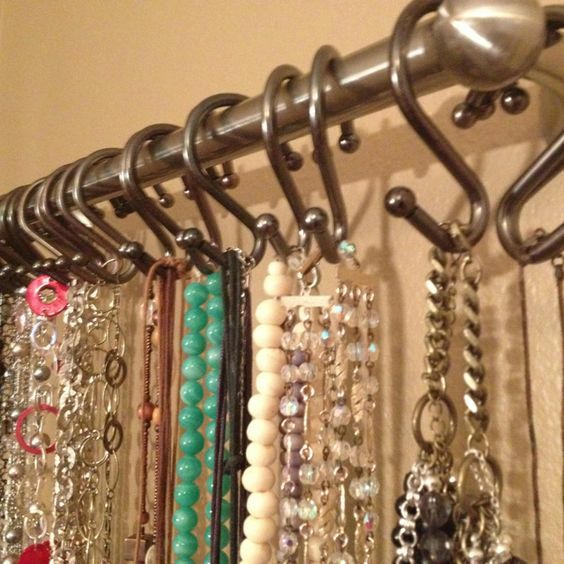 This is a simply effortless and super effective idea to organize your jewelry. 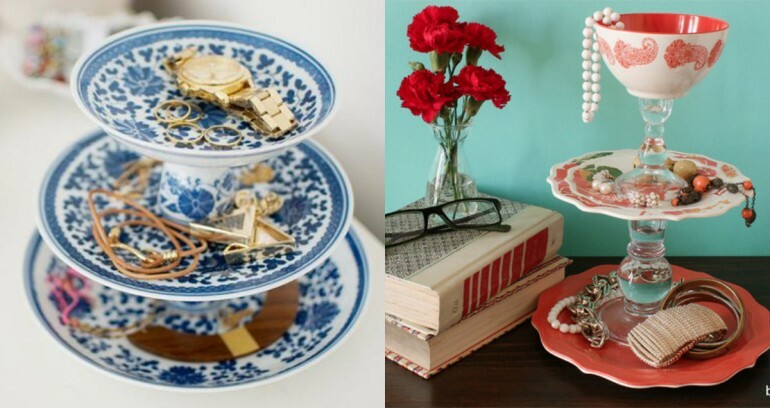 Place some pretty trays on your dresser and use them for storing jewelry! 13. Make your very own DIY Ring holder. I made this one for myself and it turned out super cute! You can have a look at it HERE. 19. 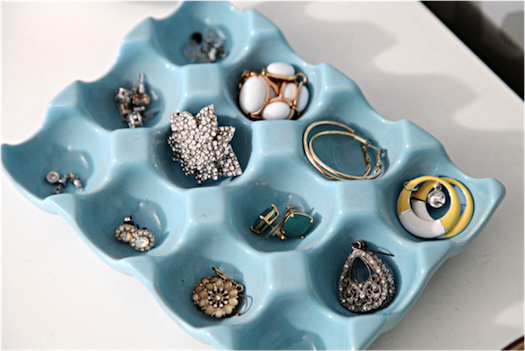 Egg carton jewelry holder – Paint and re purpose used egg cartons, they can help you keep your jewelry super organised and categorized! 20. Pipes – Attach them together in a way that they can hold stuff, paint them and you are done! Which of these amazing DIY jewelry organizers do you love? 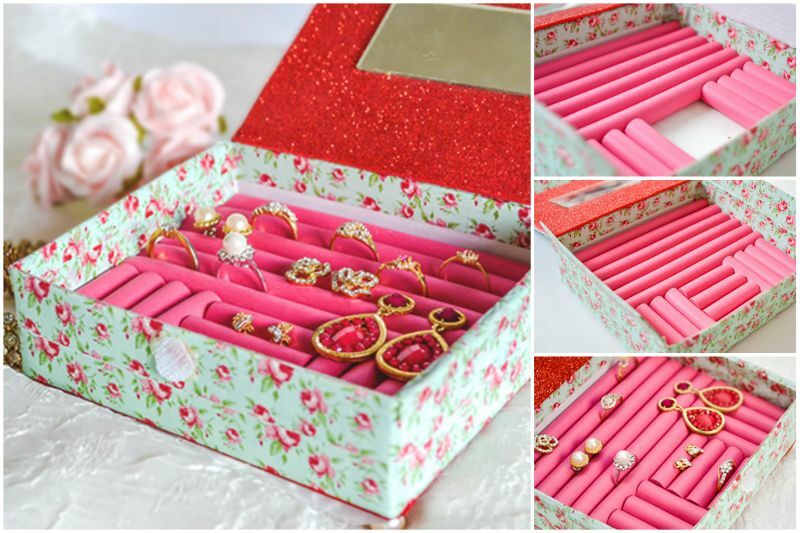 Do you want us to post a tutorial for any of the above jewelry organizers? We would love to! So make sure you let us know in the comments below!